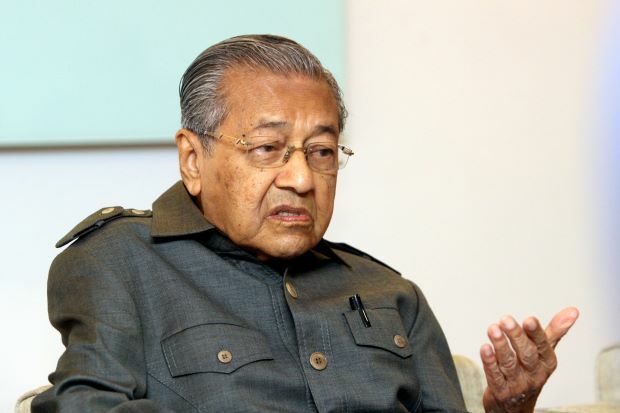 Malaysia’s newly minted Prime Minister Tun Dr Mahathir Mohamad said today the country’s teaching is “outdated” and as a result many people are uneducated. In order to fix these problems, Mahathir said he will become the next education minister and will introduce online teaching. Dr Mahathir said he will take over the education portfolio because many people are uneducated, and that he needed to give his attention to it. He said Malaysia’s way of teaching is “outdated” and he hopes that more Malaysians will be more computer-savvy. He said with the computers accessible to all, Malaysia should devise new ways to teach. “We should devise new ways of teaching,” said Dr Mahathir, adding that he will introduce an online software to teach students in schools. He said the country could use one teacher’s method that could be uploaded online for everyone to use. While he will be in charge of the Education Ministry, Deputy Prime Minister Datuk Seri Dr Wan Azizah Wan Ismail will be in charge of women’s affairs. He also said that the remaining eight core Cabinet positions would be divided equally between the parties in Pakatan Harapan – meaning two for each party. “We will try to get 13 ministers sworn on Monday (May 21) if the Istana (Palace) agrees to it,” Dr Mahathir told a press conference following a Pakatan Harapan presidential council meeting at Yayasan Selangor today. He hinted that the cabinet will eventually have 25 ministers, but for now the ruling parties have opted to appoint the 13 ministers.